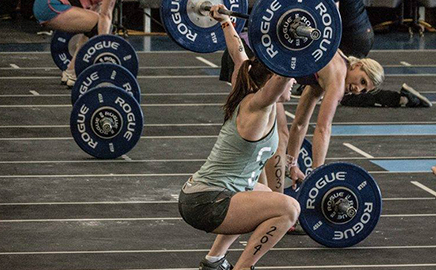 Strength competitions have been happening for as long as humans have roamed the earth. 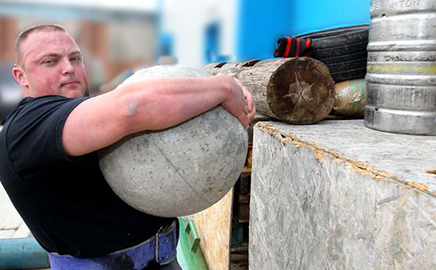 Strongman as a sport originated in the U.S. in 1977 with the first “World’s Strongest Man” competition, and it has continued to grow as a sport since then. At this years Calgary Stampede, professional competitors will include the 5th Strongest Man in the World, and Canada’s Strongest Woman! Over this three-day competition, competitors are expected to lift, carry, push, and pull various oddly shaped, large, heavy items – including the Stampede president, David Sibbald’s GMC Sierra Denali 3500 HD pickup truck, in a race against one another to determine who has the greatest mix of overall strength and athleticism. 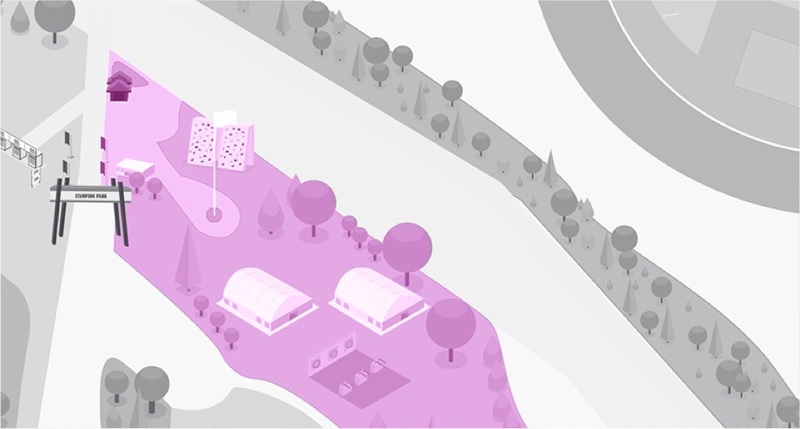 These events will be separated into amateur and pro divisions for both men and women. 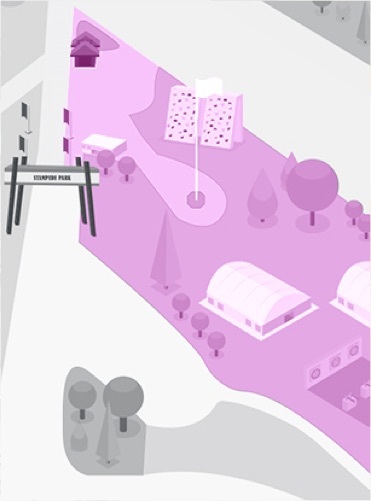 In addition, spectators can enjoy CrossFit and Powerlifting, as well as information and demonstrations on Strongman, Strongman Kids, MAS wrestling and Highland Games. Competitors will compete in a crossfit style event to determine who is the fittest competitor by running, lifting, and carrying bars and objects. 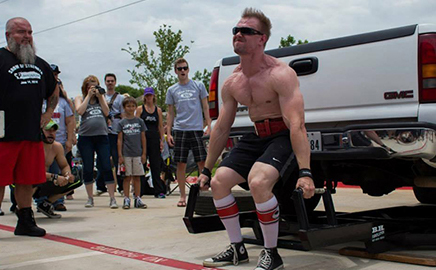 The Strength Edge puts on an exhibition of common strongman lifts and challenges. 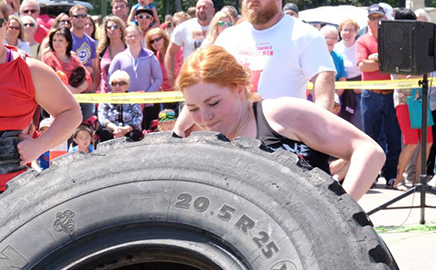 Experienced competitiors will be available to explain, demonstrate, and challenge spectators in some of the common disciplines of the sport of Strongman. Bring your kids down before 3 p.m. each day to participate in a strength challenge run by experienced coach and former Alberta's Strongest Woman competitor Sarah Weigand and Crossfit Most's Jenn Swagar. 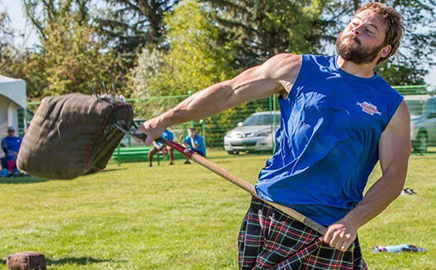 Some of the best Highland Games athletes in the country will showcase a competition of highland games heavy events, including events like weight over bar and the sheaf toss. 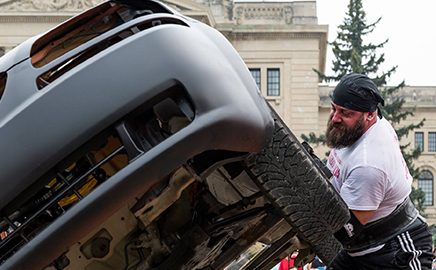 Test your grip and observe some feats by some of the strongest hands in Canada. Alberta Gripsport will showcase some of the disciplines in grip sport, including horseshoe bending, phone book tearing, and chain breaking. Mind over Metal will showcase the creation of hand bent steel art. 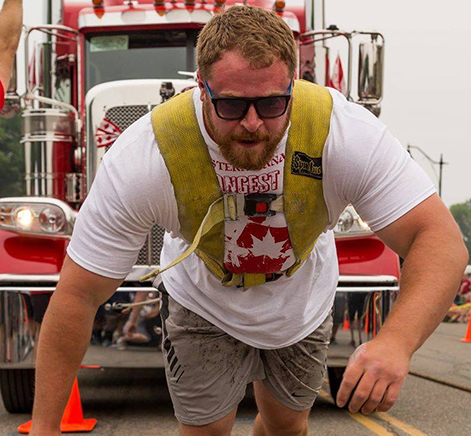 The strongest men in Canada, including the 5th strongest man in the world, JF Caron, will take part in a 2 part competition of lifting trucks and other massive objects to determine who is the strongest man at the Calgary Stampede. 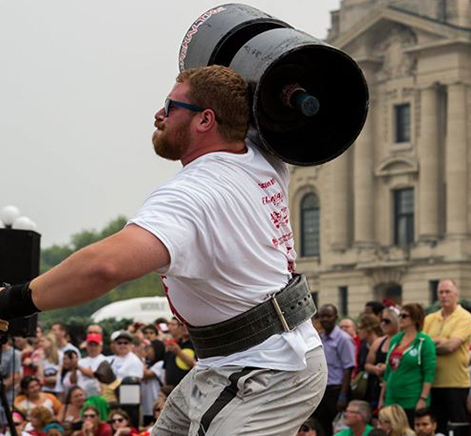 Some of the strongest men in Alberta will compete lifting and carrying massive objects to determine who is the strongest Amateur man at the Calgary Stampede, and to earn a right to compete against the professionals next year.